This list of Spring interview questions and answers contains questions from Spring fundamentals e.g. Spring IOC and Dependency Injection, Spring MVC Framework, Spring Security, Spring AOP etc, because of length of this post I haven't included Spring interview questions from Spring JDBC and JMS which is also a popular topic in core Java and J2EE interviews. I suggest preparing those as well. Anyway, these Spring questions are not very difficult and based on fundamentals like what is default scope of Spring bean? which is mostly asked during the first round or the telephonic round of Java interview. Although you can find answers to these Spring interview questions by doing Google I have also included answers for most of the questions for your quick reference. As I have said it before both Spring and Spring MVC, and now Spring Boot are fantastic Java frameworks and if you are not using it then it's a good time to start using them, these questions will give you some head start as well. 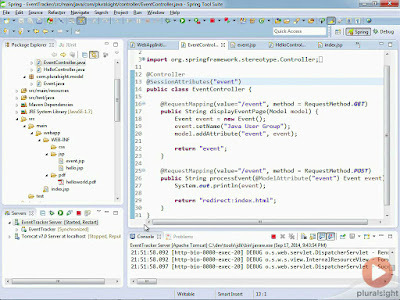 Spring MVC can be used to develop both standalone Java web application as well as RESTful Web Services using Spring. Btw, if you are completely new to Spring framework, I suggest you to first take a look at Spring Framework 5: Beginner to Guru course, otherwise, most of these question will not make any sense to you. Now let’s start with questions, these Spring Interview Questions are not very tricky or tough and based upon primary concepts of spring framework. If you are developing an application using Spring framework then you may be, already familiar with many of these Java and Spring interview questions and answers. Nevertheless, it’s a good recap before appearing in any Spring and Java interview. 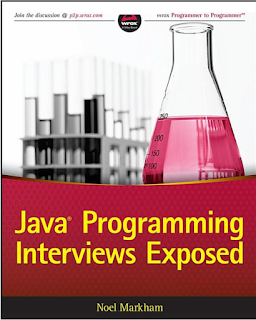 You can also check out the Java Programming Interview exposed book from Wrox publication, apart from various Java topics it also contains some really good Spring framework, Hibernate, and Spring MVC questions with detailed explanation. Also, Hibernate is mostly used in Spring, so don't forget to prepare some Hibernate interview questions along with Spring. Some of the readers requested to provide Spring Security interview questions and answer, So I thought to update this article with a few of Spring security question I came across. Another Spring interview question which is based on Out of box feature provided by Spring framework. You can easily control How many active session a user can have with a Java application by using Spring Security. Apart from that Spring Security also provides the "remember me" feature which you can use to provide easier access for your users by remembering their login details on their personal computer. This is a very popular Spring Security interview question as Spring provides out of the box support to connect Windows Active Directory for LDAP authentication and with few configurations in Spring config file you can have this feature enabled. You can further see Learn Spring Security course by Eugen Paraschiv to learn more about advanced details of Spring Security. Answer: This Spring interview question is the first step towards the Spring framework and many interviewers start Spring interview from this question. As the name implies Inversion of the control means now we have inverted the control of creating the object from our own using new operator to container or framework. Now it’s the responsibility of container to create an object as required. We maintain one XML file where we configure our components, services, all the classes and their property. We just need to mention which service is needed by which component and container will create the object for us. This concept is known as dependency injection because all object dependency (resources) is injected into it by the framework. In this example, CreateNewStockAccont class contain getter and setter for newBid and container will instantiate newBid and set the value automatically when it is used. This whole process is also called wiring in Spring and by using annotation it can be done automatically by Spring, referred as auto-wiring of bean in Spring. Question 2: Explain the Spring Bean-LifeCycle. Ans: Spring framework is based on IOC so we call it as IOC container also So Spring beans reside inside the IOC container. Spring beans are nothing but Plain old java object (POJO). 1. The container will look the bean definition inside configuration file (e.g. bean.xml). 2 using reflection container will create the object and if any property is defined inside the bean definition then it will also be set. 5. If there are any BeanPostProcessors associated with the bean, their post- ProcessBeforeInitialization() methods will be called before the properties for the Bean are set. 6. If an init() method is specified for the bean, it will be called. 7. If the Bean class implements the DisposableBean interface, then the method destroy() will be called when the Application no longer needs the bean reference. 8. If the Bean definition in the Configuration file contains a 'destroy-method' attribute, then the corresponding method definition in the Bean class will be called. These were just some of the Spring Fundamentals I can cover here if you are interested to learn more I suggest you take a look at Spring Master Class - Beginner to Expert, an end-to-end course to learn Spring. Question 3: What is Bean Factory, have you used XMLBeanFactory? Ans: BeanFactory is factory Pattern which is based on IOC design principles.it is used to make a clear separation between application configuration and dependency from actual code. The XmlBeanFactory is one of the implementations of Bean Factory which we have used in our project. The org.springframework.beans.factory.xml.XmlBeanFactory is used to create bean instance defined in our XML file. Answer: This one is a very popular Spring interview question and often asks in an entry-level interview. ApplicationContext is the preferred way of using spring because of functionality provided by it and the interviewer wanted to check whether you are familiar with it or not. Support application life-cycle events, and validation. Even though both are used to indicate that a Spring bean is a Controller in Spring MVC setup, @RestController is better when you are developing RESTful web services using Spring MVC framework. It's a combination of @Controller + @ResponseBody annotation which allows the controller to directly write the response and bypassing the view resolution process, which is not required for RESTful web service. It also instructs DispatcherServlet to use different HttpMessageConverters to represent the response in the format client is expecting e.g. HttpMessageJackson2Convert to represent response in JSON format and JAXB based message converts to generate XML response. You can further see REST with Spring course by Baeldung to learn more about developing RESTful Web Services using Spring 4 and Spring 5. Question 6: What is the difference between a singleton and prototype bean? Ans: This is another popular spring interview questions and an important concept to understand. Basically, a bean has scopes which define their existence on the application. Singleton: means single bean definition to a single object instance per Spring IOC container. Prototype: means a single bean definition to any number of object instances. Whatever beans we defined in spring framework are singleton beans. There is an attribute in bean tag named ‘singleton’ if specified true then bean becomes singleton and if set to false then the bean becomes a prototype bean. By default, it is set to true. So, all the beans in spring framework are by default singleton beans. The DispatcherServlet is very important from Spring MVC perspective, it acts as a FrontController i.e. all requests pass through it. It is responsible for routing the request to the controller and view resolution before sending the response to the client. When Controller returns a Model or View object, it consults all the view resolvers registered to find the correct type of ViewResolver which can render the response for clients. In case of RESTful Web Services, the DispatcherServlet is also responsible for using HttpMessageConverter to represent the response in the JSON, XML, or TEXT format, depending on the content negotiation between Client and Server e.g. if client send request with HTTP accept header as "application/json" then DispatcherServlet will ask the HttpMessageJackson2Converter to convert the response into JSON format. You can further see the free Introduction to Spring MVC course from Pluralsight to learn more about Spring MVC and DispatcherServlet. Question 8: What is AOP? Answer: The core construct of AOP is the aspect, which encapsulates behaviors affecting multiple classes into reusable modules. AOP is a programming technique that allows a developer to modularize crosscutting concerns, that cuts across the typical divisions of responsibility, such as logging and transaction management. Spring AOP, aspects are implemented using regular classes or regular classes annotated with the @Aspect annotation. You can also check out these Spring MVC interview questions for more focus on Java web development using Spring framework. Question 10: What are the joint Point and point cut? Ans: This is not really a spring interview questions I would say an AOP one. Similar to Object-oriented programming, AOP is another popular programming concept which complements OOPS. A join point is an opportunity within the code for which we can apply an aspect. In Spring AOP, a join point always represents a method execution. Pointcut: a predicate that matches join points. A pointcut is something that defines what join-points an advice should be applied. Setter injection is more flexible than constructor injection because you must remember the type and order of constructor parameter. Also, constructor injection is generally used to inject the mandatory dependency, while setter can be used to inject optional dependency. 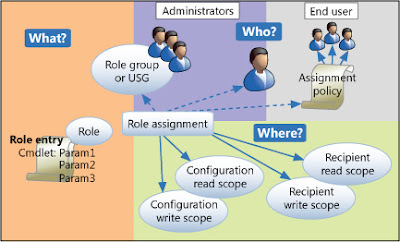 Spring Security provides a couple of ways to implement Role based access control e.g. by using GrantedAuthority. See the article to learn more about it. Even though both allow you to reduce coupling in code, dependency injection is much more flexible and easier to test than Factory pattern. Starting with Spring 4.0, the framework has provided several useful annotations like @RestController to simplify the development of RESTful Web Services in Spring. You can also see REST with Spring course by Eugen Paraschiv to learn more about developing and security real world RESTful web services using Spring framework. Question 16: What are the different modules in spring? Question 17: What type of transaction Management Spring support? Ans: This spring interview question is a little difficult as compared to previous questions just because transaction management is a complex concept and not every developer familiar with it. Transaction management is critical in any applications that will interact with the database. These spring interview Questions and answers are not very difficult and focused on spring fundamentals rather than focusing on an advanced feature of session management, spring security, authentication etc. we will cover of those question on some other interview article. I would also suggest that share some spring questions asked to you guys during the interview and then I can put together those with their answers for quick reference of everybody. Thanks for reading this article, if you like this article then please share with your friends and colleagues. Spring is largely a redundancy. Java EE 6 provides what you are likely to need from Spring a standards compliant framework. If you are still doing J2EE development I can understand why you think Spring is the better framework, however. @Anonymous, Thanks for your comments, In My opinion Spring is better than J2EE , though this is a premature comment because I have not used J2EE quite except Jsp , Servlet and EJB a lot but with that limited experience I found Spring more better. Thanks Thomas you like these spring questions, and thanks for explaining that point some how I completely missed that. Can you add some more Spring framework interview questions , especially from spring mvc part. I am going for spring interview and expecting spring mvc interview questions based on job description. Also Can you please upload pdf version of spring interview questions so that I can take a print out. Also it would have been little better if you could split up these spring interview question on different category e.g. Spring IOC interview questions, Spring AOP interview questions, Spring MVC interview questions, Spring security interview questions , Spring dependency injection interview questions etc. these spring interview questions are rather easy, you should include touch spring questions doesn't matter whether it appeared on interview or not. can you also put some spring mvc questions, like questions on controller, dispatch-servlet.xml and view mappings on spring framework. spring-mvc is more asked than any other module of spring framework so please share some spring mvc interview questions. 1) What is Spring IOC Container ? 2) Does Singleton from Spring Container is thread safe? 3) Why Spring MVC is better than Struts? 4) What is Spring Integration? 6) What scheduling feature Spring framework provides? 7) How do you make a Singleton bean to lazy load in ApplicationContext which loads all Singleton beans eagerly during startup? 8) Does Spring Security part of Spring framework? 10) Which version of Spring have you used recently and what is difference you observed from previous spring version. Answer of "What is Spring IOC Container"
Spring IOC container is an implementation of Dependency Injection design pattern provided by Spring framework. Instead of creating objects in application code using new() keyword, we use ApplicationContext.getBean("nameOfBean") to get reference of Objects. Spring framework creates objects, manages object and set the dependency automatically so that you can get Object in proper state. Answer 2 - "Does Spring Singleton are thread-safe"
I am not sure on this , I guess this may depends upon whether object is immutable or not. Hi, I am an experienced Java programmer (4 years experience in Java and J2EE technology) but I am new to Spring framework. I am going to appear for client interview this week and looking for some Spring questions for 2 to 4 years experienced programmer. Would preparing above Spring question would be sufficient? if possible can you please share some tough, difficult or triky Spring interview question as most of them are quite command and frequently asked. They are also looking for Some spring MVC , Spring JDBC and Spring Security experience. Would be great if you could share few Spring MVC, JDBC and Spring Security interview question and answers as well. Can you please let me know How can we download this Spring interview question answers as pdf ? Please share some questions answers for Spring hibernate integration and Spring AOP support. Also if you could include questions like What is new in Spring 3.0, Which newe features are introduced in Spring 3.0 etc, That would be fantastic. What is benefit of using JdbcTemplate ? Why should you use JdbcTemplate in Spring ? How do you handle SQLException in Spring? How to you setup JDBC connection pool in Spring etc. interview questions from JDBC in Spring is not that many, but you should be familiar with JdbcTemplate. I am new to Spring. IoC says that it overcome the creation of object. But at the same time we are using getBean(String id) instead of new operator when ever we need the bean instance. can it be possible to get the bean instance with out using getBean() not even for a single time. Hi Sunil, IOC does lot of stuff for you. It creates dependency and construct objects. If you don't need explicit instance of bean, you can avoid that getBean() call, but you almost always need that. It's better to wrap casting and call to getBean in a separate class itself and use Generics , instead of casting everywhere in code. to convert it into either asp.net or any other html files. Will you please give me result??? Please Tell me how can i do it??? @sskcar...Here Peoples ask for help, if you can't provide any help to them then please , you don't have right to say whatever u said in your recent comments. I recently attended a Spring interview and got a follow up question on Question 6. How would you inject a prototype bean into a singleton bean from a method? I answered that I would create the prototype bean using the application context giving the bean id inside the method of the singleton class. 2. using the element when creating the Prototype class. Hello dude, these Spring framework questions are good for freshers and beginners, but not good enough for experienced deveopers. Can you add some more advanced questions for senior programmers, who knows Spring basic and has over 2 to 4 yeras experience in developing Spring MVC framework? I am nikita. Currently working in bpo company. Having 1 year experience. I want my career in java.have completed 1 project in java. Can I switch into java bcz I am from computer background. In java wants 3-4 year experience. And now I can't apply fresher also. I am currently working in bpo company. But I want career in java. If I complete Project in spring .then is it possible to get hire in IT company? Without having any experience in java? Hello Nikita, If you have any engineering degree or courses on computer science e.g. M.Sc or MCA, it's quite easy to get Job on Java Software development. I also suggest to do Oracle Java Certification, a good score there will boost your chances of Java job for sure. Coming to Spring, it's not mandatory for Java, but having this experience is always good. Good luck. I have completed bcs .no any certification in java .I thought with spring I can enter into java and Will no wastage of experience. I presume, BCS is a bachelors degree in computer science, so that's good. If you don't have any experience than I suggest to do certification and at same time try to work as intern or trainee to gain some experience. Having said that, no harm in trying and giving Job interviews. There are times when company needs developer in large numbers and they are less restrictive in filtering. Having worked in Spring will also help you. Will prefer this one. One more question which certification would be best ocjp or scjp? I still dont understand your point. Could you pls give us an example? All beans created in Spring are by default Singleton but not thread safe. i want my career in java.i have no experience .so pls suggest me .how get job in java developer. Thanks for such an useful topic. In one interview I face the question that is if we declare bean with same class but different ID's then will spring container create more object or it creates single object as we are creating these beans with singletone scope. Is there any difference in singletone design pattern and singletone bean scope? how to deal with cyclic dependency in spring config xml is also a popular question asked to me & one of my friend too.. Without learning j2EE we can understand spring and hibernet concept. @chandan Ons, you are correct now there is no need to learn Java EE to use Spring or Hibernate, you can even use them in core Java project which requires database access. Spring is now mainly use for DI and Hibernate is for ORM. Can you please explain some basic benefits of Dependency Injection ? for your 3rd question answer..
do we have singleton=”false/true” attribute in bean definition ? I think it is scope attribute.